The Battle of Jutland, the largest naval battle of World War I was fought on May 31 - June 1, 1916 in the North Sea, near Jutland. 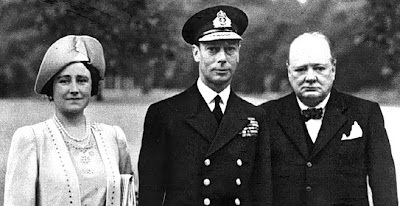 Rather than commenting on it or asking Tory Historian to do so, I shall put up a brief discussion between two Conservative activists and amateur historians, who are very knowledgeable on the subject. My own view is that Jellicoe got just about all the big calls he made right (his decision on how and whether to form line of battle was spot on and he had 2 mins to call it), that his strategic understanding was correct (keep the fleet in being; deny the Germans access to the ocean), but that the fleet and Admiralty didn't perform as well as they should have done under the circumstances. Much has been made of Jellicoe's decision to break off the action in dusk but that was surely right with the technology in WWI. More should be made of how long it took to make contact in the first place. My considered opinion is that Jellicoe did get it right. The Royal Navy may have lost more men and ships than the Germans, but the latter were under no illusions that they were lucky to escape. Twice Jellicoe crossed the T of the German line with his Battle Fleet, and his turn away later in the evening was the then accepted method of opposing torpedo attack. As you say, he was let down in no small part by the Admiralty and his own captains. He must be held in some measure responsible for the training of his captains, but this wasn't helped by the unusual command structure imposed on him by the Admiralty, coupled with maintaining the fleet in constant readiness for battle in Scapa Flow. If the Imperial German Navy had been the vaunted collection of amazing ships and crews led by fantastic leaders which people seem to think it was, they would have had absolutely no qualms in seeking battle with a quantitatively superior Royal Navy. That they did not speaks volumes. 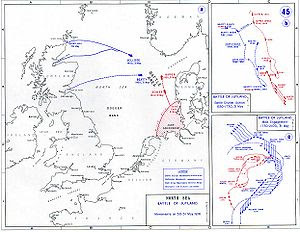 As many people say, had there been another battle later in the war, it would no doubt have ended in a crushing British victory (of dubious strategic value), and Jutland would be a footnote in history, along with Dogger Bank and First Heligoland Bight. But the Germans didn't want to play. Anyone else wants to join the discussion? Tory Historian was idly looking at the BBC On This Day site and found a couple of interesting anniversaries that might indicate some development in this country's economic thinking. Sixty years ago (and five years after the war had ended) petrol rationing ended. As it is explained beside the article, petrol rationing, which, inevitably, produced a flourishing black market despite that red dye, was a contentious issue with the Labour government realizing, after its majority had been slashed in the 1950 election, that the public was getting a little tired of war-time conditions years after the war had ended. It is, of course, worth remembering that some rationing went on well into the succeeding Conservative government's time. The end of all food rationing came on July 4, 1954 when meat was no longer rationed. We move on 22 years and Thomas Cook, the travel agency that had been nationalized in 1948 was sold to a consortium of private businesses, led by Midland Bank. No doubt there were people who muttered about "selling off the family silver" and the need for a popular travel agent to be "owned by the people". In fact, Thomas Cook did not go into the black until it moved away from those charter tours and into some more modern travel business operations. The company's full history is of great interest. Tory Historian has been a little perturbed by the tug-of-war between the Leader of the Conservative Party and the 1922 Committee, which represents the party's backbenchers. Even more perturbing have been some of the arguments that supported the effective destruction of the Committee's independence from the leadership. Putting country first often means putting principles first as Mr Pitt knew very well. Tory Historian returns after a short absence (caused by technical difficulties, now resolved) with news of a great man's birthday. Sir Arthur Conan Doyle, writer, historian, and real-life detective was born on May 22, 1859 in Edinburgh, a city that, in many ways, shaped his thinking and imagination. Often the descriptions of London in the Sherlock Holmes stories seem to be a little too small for what was by then a teeming metropolis but give a good impression of the Scottish capital. Sir Arthur's biography is very well worth reading - he was a man of many talents and wide interests, which sometimes led him into difficulties such as the infamous case of those fairies in the photographs taken by two girls who many years later admitted to faking them. Somehow that silly story does not seem as important as, for instance, Conan Doyle's own detective work that defended two outsiders, George Edalji and Oscar Slater, proving their innocence. Above all, there are the great literary works. 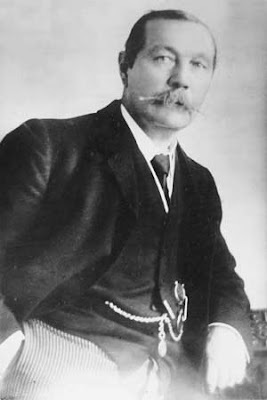 Conan Doyle's historical novels are not as widely read as they deserve to be or as he would have liked but is there anybody in the world who has not heard of Sherlock Holmes and Dr Watson even though much of what people know is wrong and most of the quotations are incorrect. (Though the one about the curious behaviour of the dog in the night is correct. It is in Silver Blaze, an excellent story.) 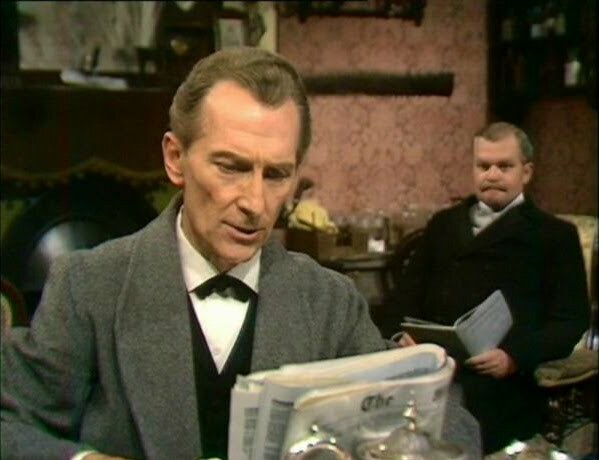 The picture Tory Historian has selcted is that of Peter Cushing and Nigel Stock from a remarkably good TV series of the late sixties. Nigel Stock had also played Dr Watson with Douglas Wilmer. Much as Tory Historian likes Michael Williams in the radio adaptations of the stories, Nigel Stock remains unrivalled. 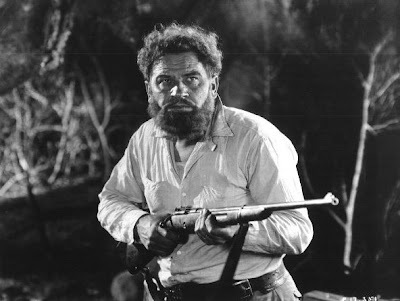 But let us not forget another great character created by Sir Arthur Conan Doyle and that is the heavily bearded, irascible scientist, Professor Challenger, hero of The Lost World and several other tales. The picture shows Wallace Beery as the professor in the 1925 film of the book. One can get a great deal of enjoyment from that slim volume, Great Books, Bad Arguments by W. G. Runciman. How can one not enjoy a book that is dedicated entirely to the destruction of arguments by Plato, Hobbes and Marx? Of course, few of the counter-arguments are new and most of the evidence for the arguments in The Republic, Leviathan and The Communist Manifesto being unacceptable in first-year undergraduate essays many of us have read, heard and thought before. It is fun to see it all proven again, this time with sociological methodology as underpinning. However, when the question of why these books remain so important in Western thinking (even The Communist Manifesto) arises, the answers leave something to be desired. If there is a single genre to which the three texts can all be assigned, it is that of optative sociology. Their illocutionary mode is neither that of “This is what going to come about” nor that of “This is what ought to come about but that of “If only this were to come about, how much better a place the world would be!” They are masterpieces of anger transmuted into hope. Plato longs for a world in which wise and good rulers have educated the ruled to be wise and good too. Hobbes longs for a world in which strong and sensible rulers have deterred the ruled from turbulence and treason. Marx longs for a world in which the oppression of the ruled by their rulers has been done away with by the abolition of the institution that caused it. Surely, all three want to say to their readers, things don’t have to go on being as bad as they are – do they? Well, up to a point, Lord Copper, to quote that great anti-utopian writer, Evelyn Waugh. Plato and Hobbes may have been writing optiative sociology; Marx was firmly predicting on the basis of more than dubious so-called scientific analysis that his ideas will come to pass and will create a free, just and equal society. Not might but will. And it is that will that has caused the many millions of deaths and much human misery in the last century. However unpleasant one might find Plato’s and Hobbes’s ideal society, nobody has actually tried to put those ideas into practice. Tory Historian is covered with shame. 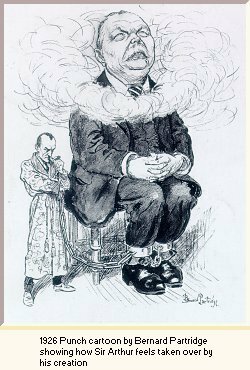 This should have been posted yesteday, which was the seventieth anniversary of the formation of Churchill's government of national unity in 1940. It was also the anniversary of the German invasion of Western Europe. 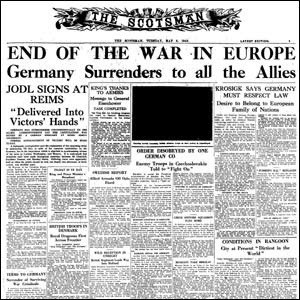 The Scotsman in a suitably sober style announces the biggest news: end of the war in Europe with Germany's unconditional surrender. The news from the Far East is darker but no attention was paid to that in Britain as celebrations broke out across the country. 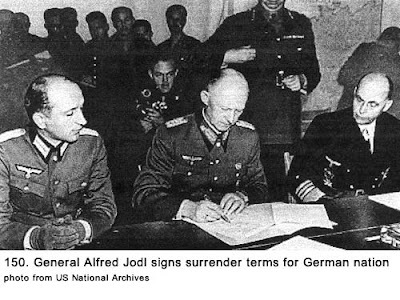 Wikipedia gives a timeline of surrenders and deaths. A note about a couple of slim volumes that could be of interest to people interested in conservative history and its ramifications. One was in the post: an IEA publication, Ludwig von Mises – A Primer by Dr Eamonn Butler, Director of the Adam Smith Institute. The book is exactly what it says: a brief introduction to one of the modern world’s greatest economists, who, despite his brilliance and the fact of being often proved right, tends to be disregarded by main-stream economists, most of whom prefer mathematical formulae and state-led solutions. I accept that there will be many conservatives and Tories who dislike the idea of free markets but I would urge them to have a look at the book (unless they have already read so much of Mises that the thought of anything else by or about him is unbearable) if for no other reason than to sharpen their arguments. Representative democracy cannot subsist if a great part of the voters are on the government payroll. The defence of a nation’s security and civilization against aggression on the part both of foreign foes and domestic gangsters is the first duty of any government. If all men were pleasant and virtuous, no on coveted what belongs to another, there would be no need for a government, for armies and navies, for policemen, for courts, and prisons. This is the function that the liberal doctrine assigns the state: the protection of property, liberty, and peace. The other book I found in London Library among the new acquisitions. Its title seemed immediately attractive: Great Books, Bad Arguments and when I realized that the great books whose arguments were faulty were among my own pet hates I realized that this slim volume also had to be read. The three great works W.G. Runciman lists are Republic, Leviathan and The Communist Manifesto, all of which had a somewhat harmful effect in history, particularly the last one. As an undergraduate I had to read and study the three last dialogues of Socrates’ life and recall being very excited when the Professor of Logic, P.T.Geach showed the many logical faults in the arguments, used by Plato in Euthyphro, particularly as much of what he said had already occurred to me in a somewhat incoherent fashion. I shall thoroughly enjoy this book, I think, and shall post on it as it is one of interest to people who are interested in conservative history.